Ventura County, located in California’s south coast, is one of United States’ most productive agricultural counties (ranked 10th in California and 11th in the US)1, with agricultural production valued at $2.1B in 2016.2 California’s landmark groundwater law, the Sustainable Groundwater Management Act (SGMA), requires that 127 groundwater basins, including those in Ventura County, develop Groundwater Sustainability Plans that ensure pumping within sustainable limits. 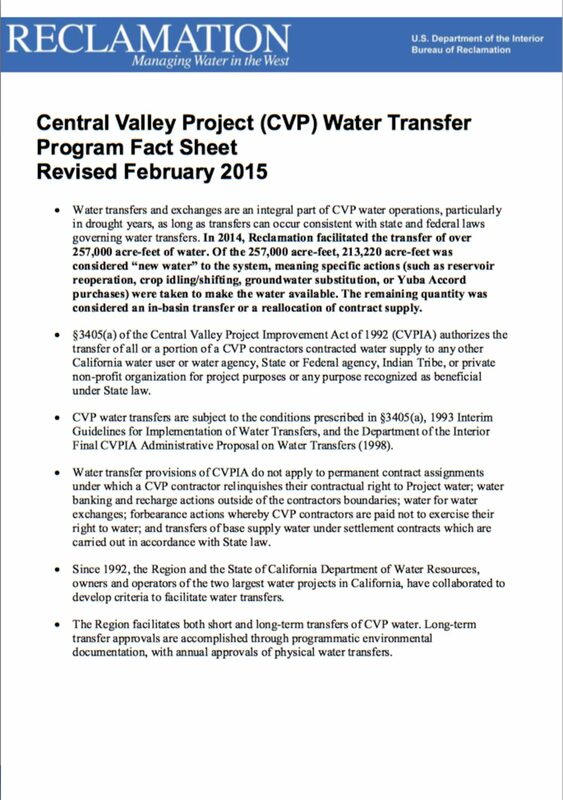 In western Ventura County, where over 70 percent of groundwater use is agricultural, the California Department of Water Resources has designated two groundwater basins as being in critical overdraft under SGMA. The local management agency may have to reduce groundwater use in these basins by as much as 40 percent to achieve a sustainable yield. 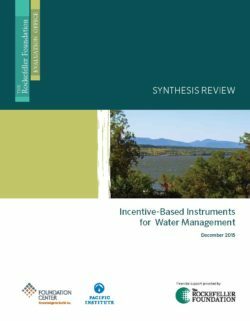 While these reductions are critical to achieving long-term sustainability of water use, which includes nature’s needs, they also pose significant challenges to wisely managing reduced water allocations to keep irrigated agricultural land in production. The Nature Conservancy (TNC) has a vested interest in preserving farming in the county because it buffers important river and wetland habitat from nearby urban lands. 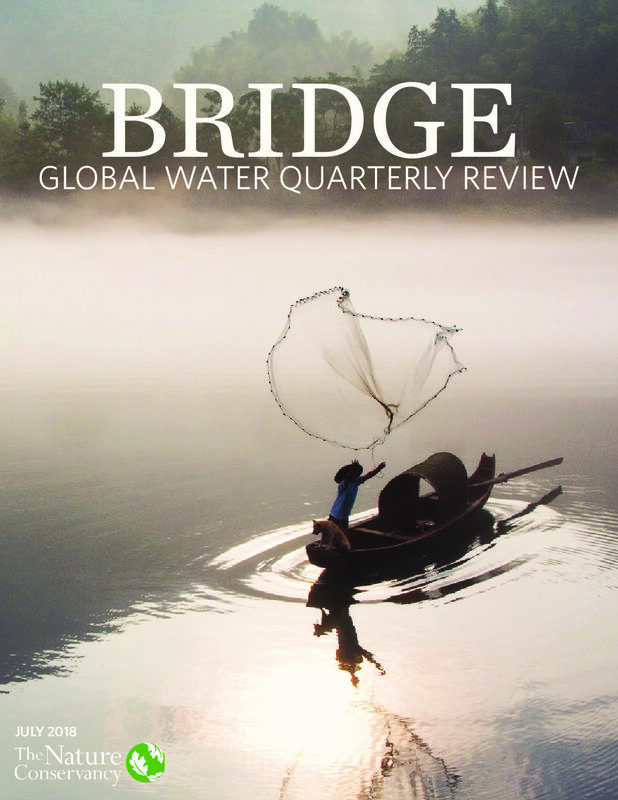 Growers in the region quickly identified water markets as an important tool for managing limited groundwater resources. 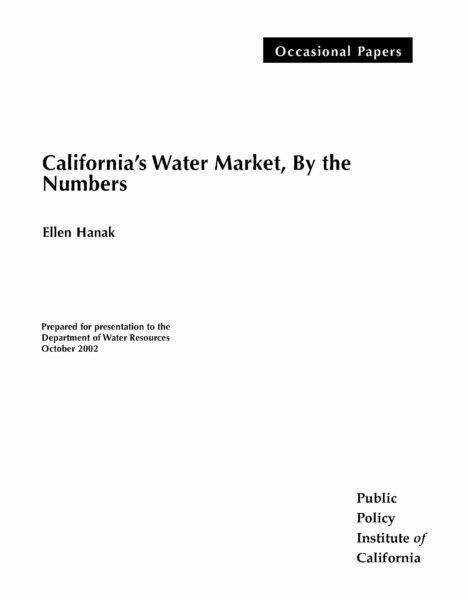 Prepared for presentation to the Department of Water Resources, October 2002. 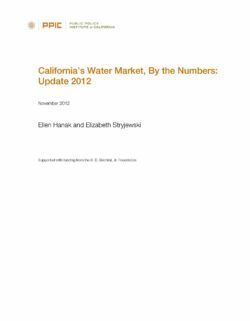 Until recently, the State of California lacked comprehensive groundwater management policy. 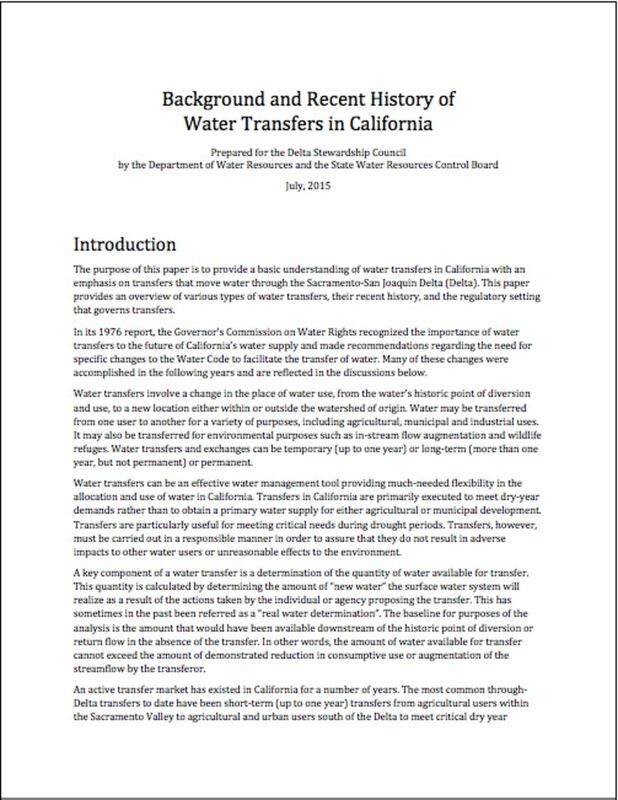 While many basins havebeen adjudicated in court or have adopted voluntary groundwater management programs following Assembly Bill 3030 and Senate Bill 1938, the vast majority of groundwater use remained unregulated. 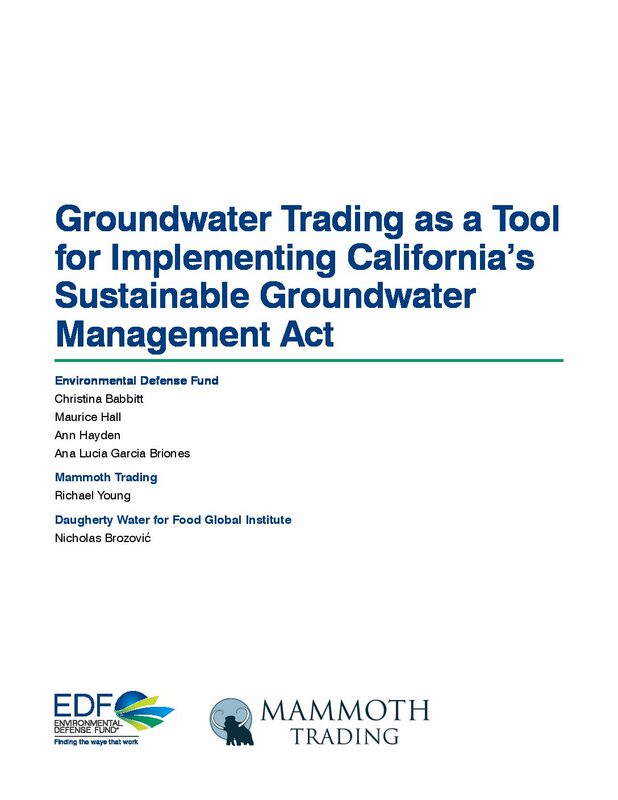 In 2014, the State Legislature passed the landmark Sustainable Groundwater Management Act (SGMA) in response to wide-ranging consequences of prolonged and unchecked groundwater pumping. While groundwater serves as an important primary and supplemental water supply for many water users, over-pumping can result in negative consequences, six of which are listed as “undesirable results” under SGMA: chronic aquifer overdraft, reduction of groundwater storage, seawater intrusion, degradation of water quality, land subsidence, and depletion of hydrologically connected surface water. 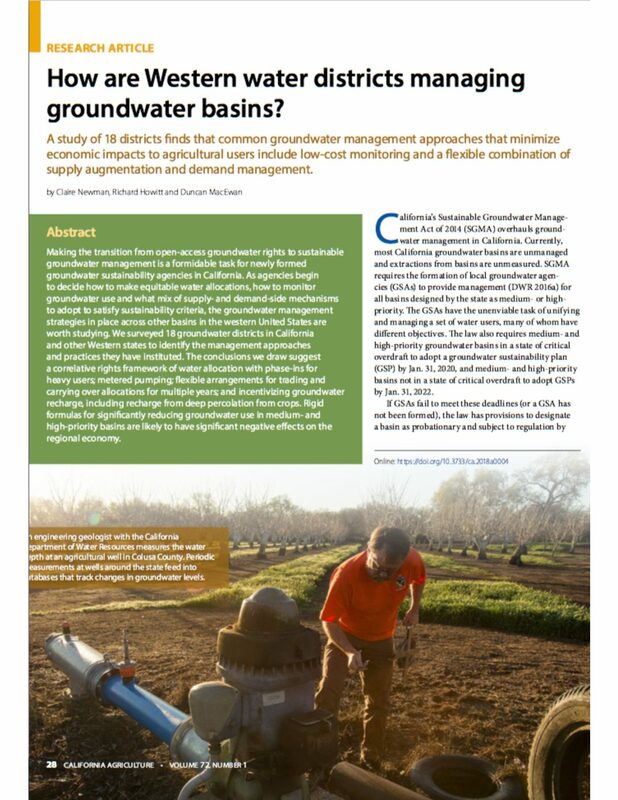 SGMA requires local Groundwater Sustainability Agencies (GSAs) to develop and implement Groundwater Sustainability Plans (GSPs) to manage groundwater to avoid such consequences. To meet the requirements of SGMA, GSAs will need to employ a wide range of management tools. 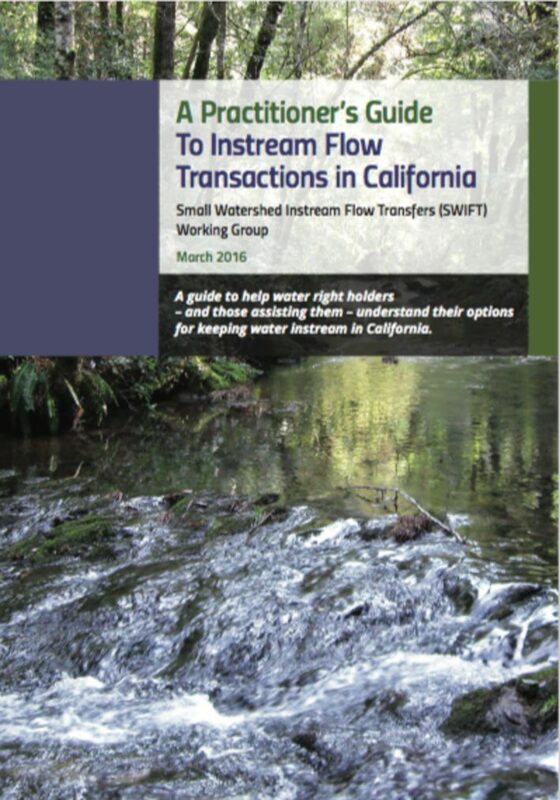 This paper focuses on one set of these tools: groundwater trading programs. Trading goes by many different names, including markets, cap and trade, transfers, credit programs, banking, pooling, and exchanges. 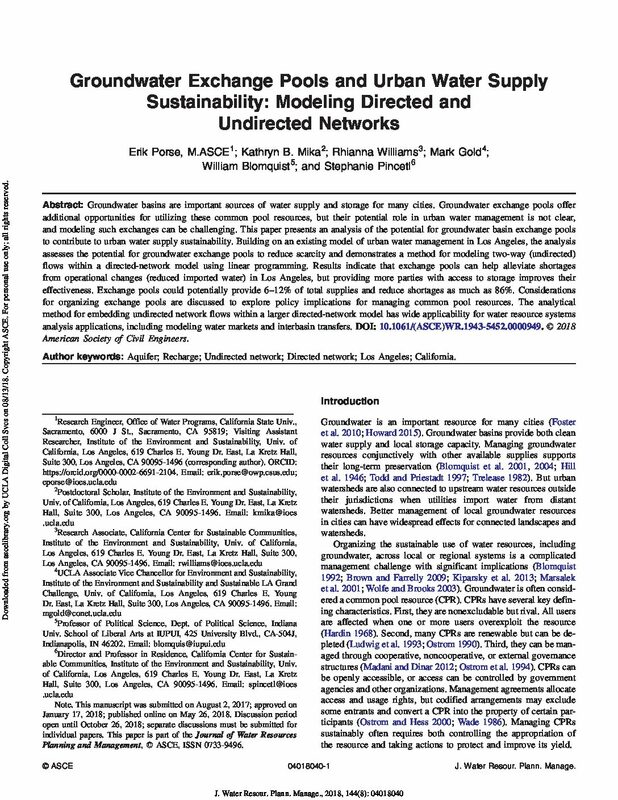 For the purposes of this paper, we have elected to use the terms “trading” and “trading programs” as the broader categorization of incentive-based management tools. Trading can be executed through a wide range of exchange vehicles, including short- and long-term leases, permanent transfers, and other more advanced or unique arrangements, such as inter-annual water exchanges or dry-year options contracts.